Known for its tropical landscape, remarkable coffee, historical cities and friendly people, Colombia is a fascinating country to explore. 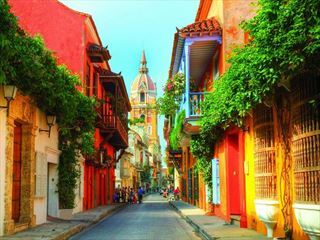 This brilliant seven-night, small group tour gives you an insight into what makes Colombia so enticing, taking you to areas of natural beauty and fascinating culture. 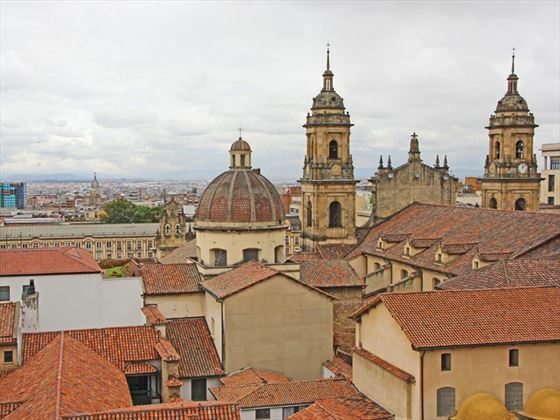 Starting in Bogotá and ending in Cartagena, this packed itinerary includes exploring Bogotá’s food markets and surrounding countryside, discovering the spectacular lagoon of Guatavita, visiting a coffee plantation and enjoying a cup alongside mountain views, and journeying to a number of interesting towns and cities (SAT). 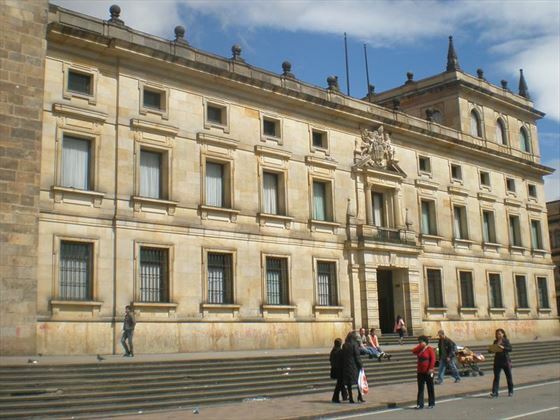 Upon arrival in Bogotá, you will be transferred to your hotel for the night. Begin your adventure with a fascinating half-day tour of the city, starting with a trip to the bustling food and flower markets. Renowned for its eclectic mix of fruits, vegetables, seafood and meat, there’s plenty of chances to taste the local cuisine. 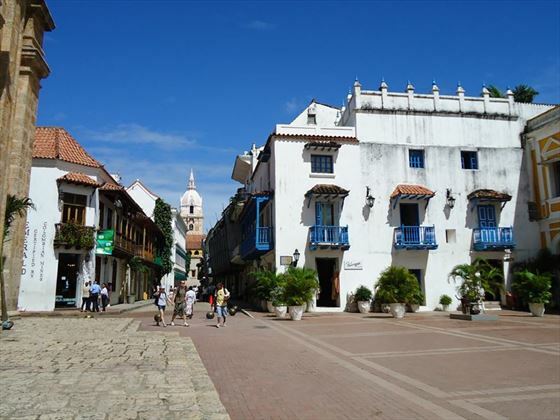 Next up is a visit to La Candelaria, a fascinating historic neighbourhood that’s adorned with old Spanish colonial houses and churches. 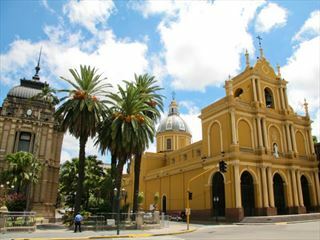 Take a walk across the main square, Simon Bolivar, to reach the famous Gold Museum, and then the Fernando Botero Museum. The afternoon is free for you to enjoy at leisure. Today involves an epic full day tour of the country surrounding Bogotá. The tour starts with a drive to Zipaquirá, home to the famous underground salt cathedral – a masterpiece built by the miners. Next up is a stop in a little village, before driving up the entrance of the lagoon of Guatavita. It’s just a half hour walk to the lagoon from here, and the beautiful views are well worth the short trek. Next up is lunch with a local farming family in the mountains, giving you an insight into the rural local lifestyle. Then it’s a drive back to Bogotá, stopping along the way for arepas (corn bread). In the morning, you’ll transfer to the airport for your flight to Armenia, where you will be picked up and taken to your hotel. 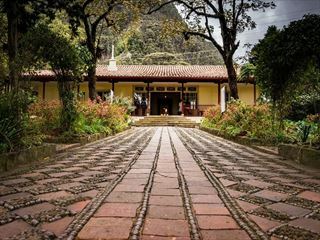 During the afternoon, you’ll enjoy a visit to a Coffee Hacienda, a verdant plantation where you can learn about the whole Colombian coffee process – from planting and roasting to tasting. The mountain scenery is a welcome backdrop to your delicious coffee break. Today you’ll be given the opportunity to explore the coffee area in the luscious Cocora Valley. 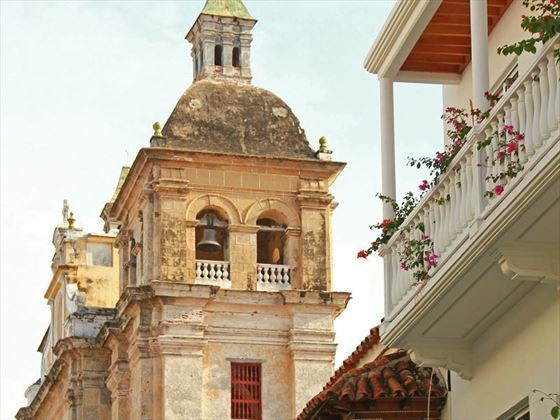 After lunch (not included), you’ll move on to Salento, a picturesque village that is still home to the typical Colombian architecture. 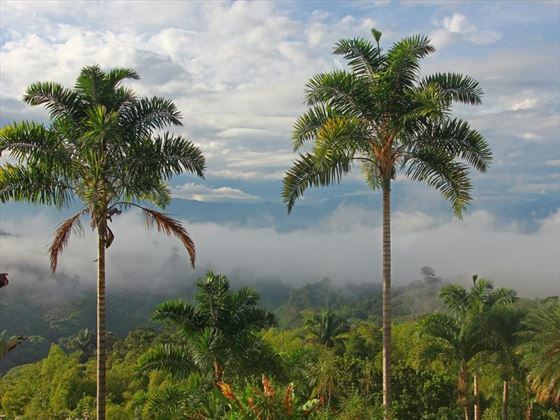 Lastly, you’ll visit Filandia – perched on a hill, the vistas here offer phenomenal views of the Cordillera. 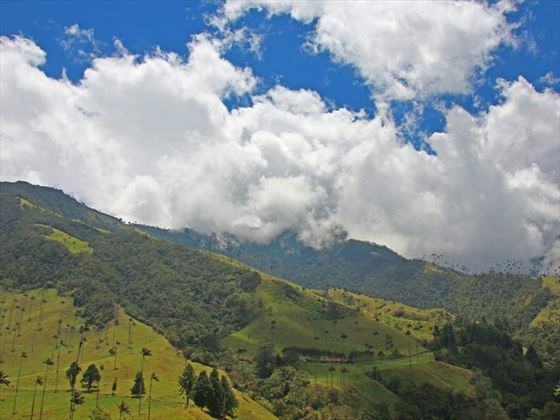 Venture here on a clear day and you may even see the peaks of Nevados National Park on the horizon. In the morning, you’ll transfer to the Armenia airport for your flight to Cartegena through Bogotá. Upon arrival, you’ll be transferred to your hotel. Day seven will be spent enjoying a half day tour of the city. This interesting trip will include a visit to the Castillo San Felipe de Barajas, the Hill of San Lázaro, the old city centre’s winding alleyways and main squares, and finally the convent San Pedro Claver. Today marks the end of your tour. You will be transferred to the airport for your ongoing flight. 18 Jan, 25 Jan, 22 Feb, 8 Mar, 5 Apr, 3 May, 7 Jun, 28 Jun, 19 Jul, 16 Aug, 6 Sep, 18 Oct, 1 Nov, and 15 Nov.